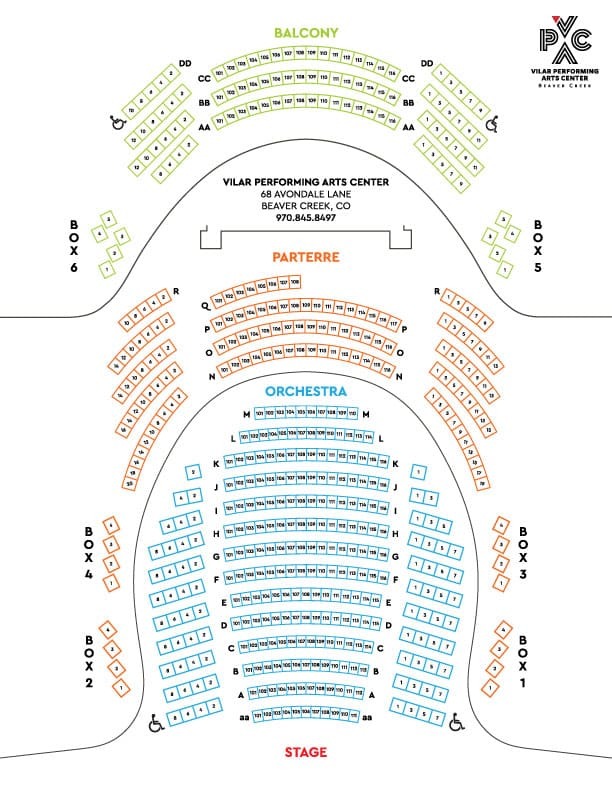 Only 25% of the $4 million required to keep the VVF’s Vilar Performing Arts Center open comes from ticket sales. The remaining 75% must be raised through corporate and individual contributions. Your gifts make it possible for us to continue to bring performances of the highest caliber to the VPAC. Please consider making a tax-deductible donation this season. We hope you’ll explore specific levels of VPAC support and membership ranging from program specific Underwriting, Platinum Club all the way to contributing member. For information and to learn about the levels associated with different amounts of giving, please contact Owen Hutchinson. We hope you’ll explore all the levels on our Supporting Membership and consider making an online donation today! Contact Owen Hutchinson at ohutchinson@vvf.org or call 970.748.6670 to start your donation. If a donor is giving to VVF through an entity in which you have already received a tax-deduction, such as a Private Foundation, DAF, Charitable Trust and/or if a portion of your gift is being made through a Matching Gifts Program, there may be restrictions specific to receiving benefits. Please contact your tax-adviser if you have questions regarding your specific situation. The Vail Valley Foundation cannot knowingly facilitate a donor receiving an improper tax deduction or other benefit nor can we knowingly accept a gift that would result in impermissible private inurement or private benefit, an “excess benefit transaction” (as defined in section 4958 of the Internal Revenue Code), or self-dealing (as defined in section 4941 of the Internal Revenue Code). Please explore specific levels of VPAC support below, contact Owen Hutchinson at ohutchinson@vvf.org, 970.748.6670, or make a donation online right now. Featured quote, biographies or photos in winter program book. In addition to financial support we rely heavily on our incredible VPAC volunteers who are tirelessly dedicated to sustaining and enhancing the quality of life within the Vail Valley from an educational, cultural and community-based perspective.